Today: Lemonade may have disappointed you in the past, but don't go through life with a sour taste in your mouth. 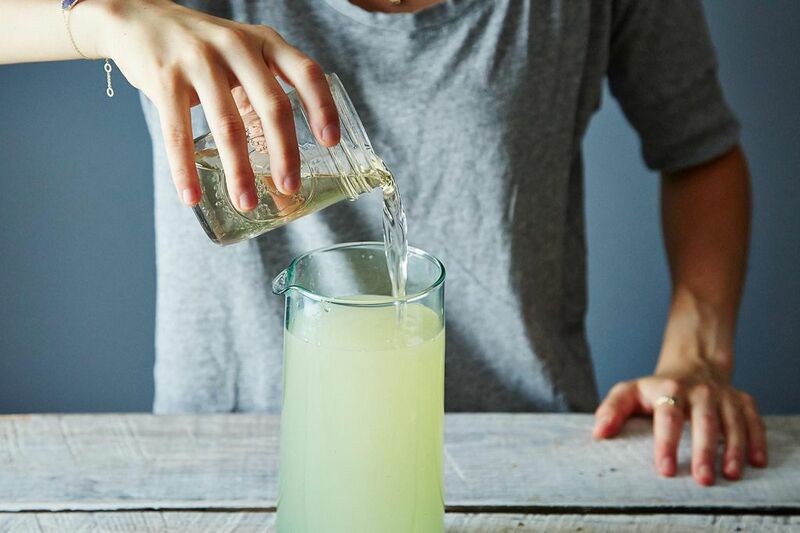 You can make a great-tasting lemonade that's as simple or complex as you want it to be -- and you don't even need a recipe to do it. Lemonade lost your trust years ago. The disappointment started when you were just a wee thing, opening shop on the corner of your cul-de-sac with youthful gusto. Your money-lust wasn’t much in those days but even so -- it's hard to split a grand total of one quarter between three children. As you grew, lemonade didn’t even try to redeem itself: It spurted out, pale and sickly, from soda fountains in school cafeterias; it brandished itself with words like “lite” and “artificial”; it sold its name to bottles of fluorescent 1%-juice drinks. At times (dark times), “lemonade” came in the form of fine powder that could be confused with the sand Sea Monkeys are born from. So lemonade has done you wrong. But it deserves another chance. Because on a good day, lemonade does what even water cannot. A true lemonade -- icy, acidic, sweet, sour -- satisfies thirst like no other beverage. Plus, it makes you feel like you should be on a porch swing in a quaint town, most likely in proximity to a guitar. Next time you’re buying a couple of lemons for a citrusy tart or roast chicken, splurge for the whole bag. 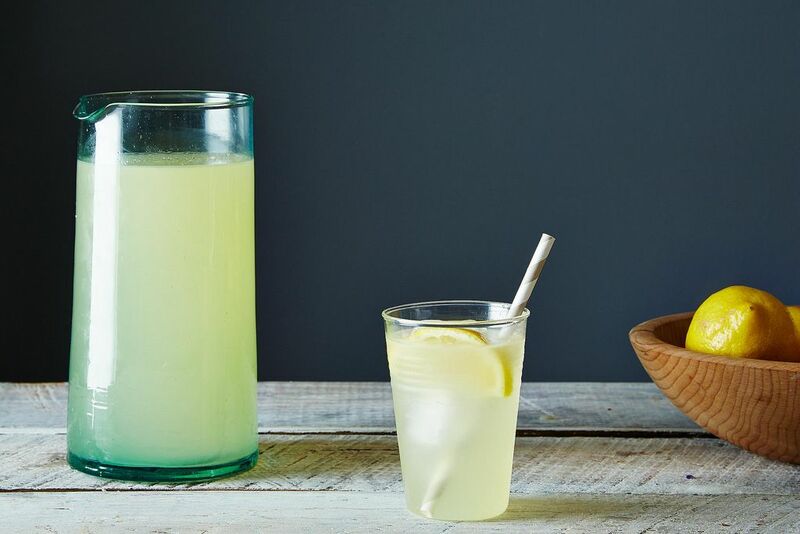 Use the rest to make a pitcher of lemonade that won’t disappoint you. 1. You'll want to make a simple syrup so that you don't end up with stubborn sugar crystals hiding at the bottom of your glass. We used Alice Medrich's no-cook method, which entails shaking cold water and sugar together until the sugar is completely dissolved. You can eyeball the amounts, but you'll want one part water to one part sugar. If you're planning for a pitcher of lemonade, aim to make at least one cup of simple syrup total. Add thyme, rosemary, basil, mint, or a mixture of any leftover herbs you have in the kitchen. For a spicy kick, infuse your simple syrup with hot peppers like jalapeños or sliced or grated ginger. Try a cardamom-saffron simple syrup for a South Asian-inspired drink. Replace some of the water with fresh fruit juice if you want to hybridize your lemonade. 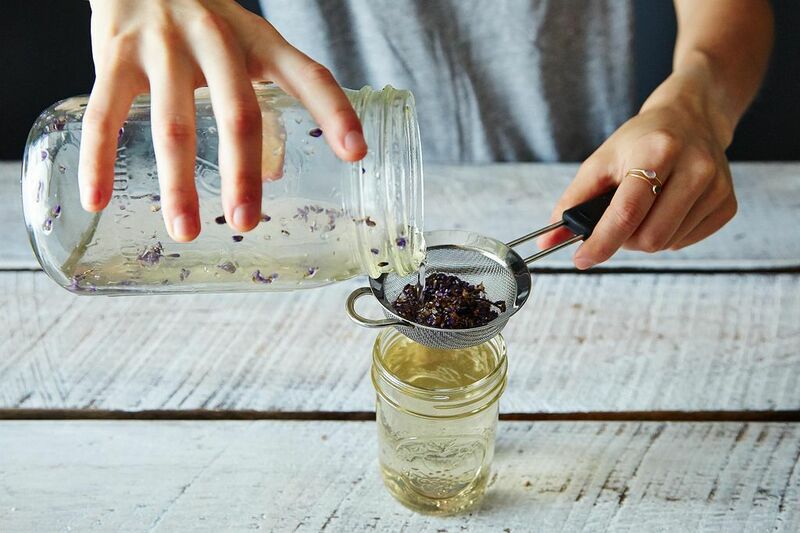 We wanted a slightly floral lemonade, so we added a handful of fresh lavender to the simple syrup, shook everthing together until the sugar crystals were no longer visible, and let our jar sit in the refrigerator overnight. If you're too thirsty to wait for cold infusion, use the traditional hot simple syrup method. Add your flavorings while the liquid is still hot, then let the syrup sit for twenty minutes or so to give the flavors a chance to mingle. More: Make extra mint simple syrup and use it to make refreshing mojitos. 2. When your simple syrup is infused, strain it into a clean jar and take a taste. If you used a higher proportion of sugar to water and your syrup is quite sweet, you'll know to start slowly when adding it to the lemonade. 3. Now is the time to use the forearm muscles you never knew you had. (After this, you will be able to lift small dogs and children as if they were light as marshmallows.) 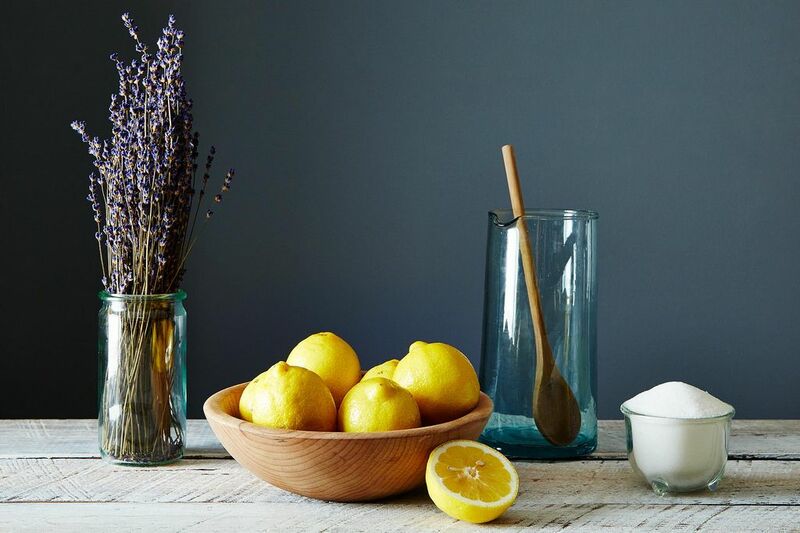 We squeezed all of the lemons we had on hand using a fancy French citron pressé (oui, oui! ), but a fork will do just fine. If you have any rock-solid lemons, try microwaving them for a few seconds -- it will make it easier to coax out the juices. Keep in mind that one lemon yields about 3 tablespoons of juice, so if you want a cup of lemon juice, which is what we ended up with, you'll need to juice 5 or 6 lemons. Now pause to admire how yellow your juice is. That's how you know this lemonade is going to taste great. 4. Use a fine mesh sieve to transfer the lemon juice to a pitcher and do away with any seeds and excessive pulp. Now you'll want to dilute the juice with cold water. You'll probably be happy with somewhere between 3 and 4 cups of water for every 1 cup of lemon juice, but add slowly and taste as you go. More: When life gives you lemons, you can make lemonade, but you can also make incredibly silky lemon cream. 5. Pour in your simple syrup, again making sure to add in increments and to taste as you go. 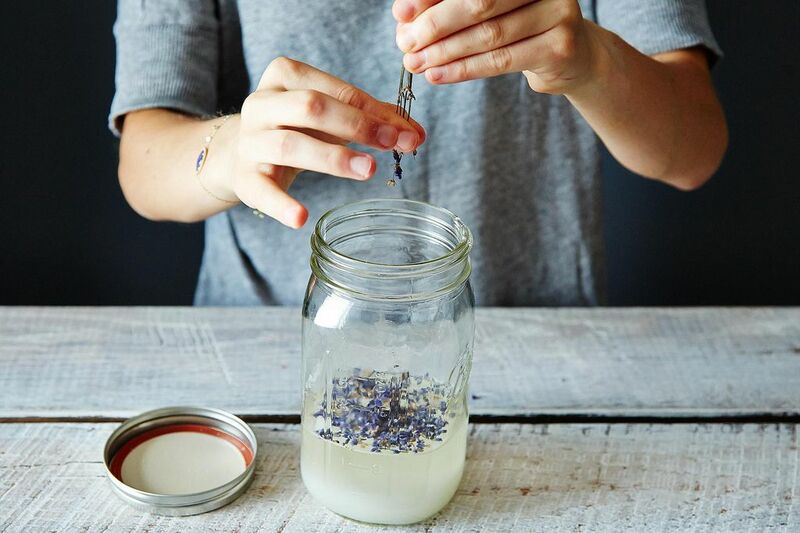 We ended up using our whole jar of lavender simple syrup (a little over 1 cup) and found the mixture to be not-too-sweet. If you oversweeten with syrup or dilute with water, don't pout or pucker: Simply add more water or lemon juice, respectively. 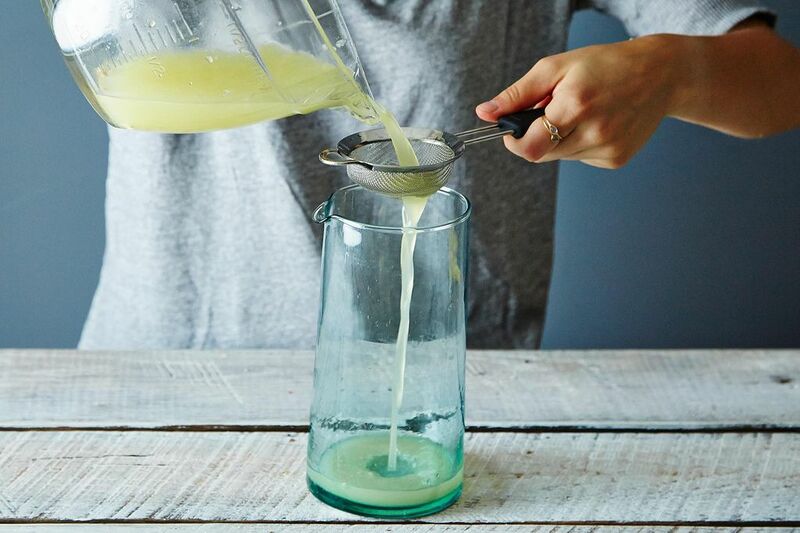 If you're looking for something a little more exciting than plain lemonade, you can add macerated or smashed berries or even puréed watermelon. 6. Stir everything together and fill a few glasses with ice. Pour the lemonade over top and add a lemon wedge and some freshly torn herbs if you made an infused syrup. Add alcohol for a hard lemonade. Sip through a fun straw, put on a pair of sandals, and go set up a lemonade stand (and make sure to check I.D. if you're serving a hard version). You might be a little late to the game, but this stuff will sell. That might be good but we love our lemonade and it is a lot less work. Squeeze 1-2 lemons into one of those shaker bottles with the ball removed. Add sugar. Pack the jar full of ice cubes. Screw the lid on. Add water through the drinking/pouring spout. Shake hard. Taste and adjust sugar/water. Done. I'm with Jimbob67. This is one heck of a recipe for some pretty snazzy lemonade. How about just mixing lemon juice, water, and sugar until it tastes right? And definitely don't bother filtering it. 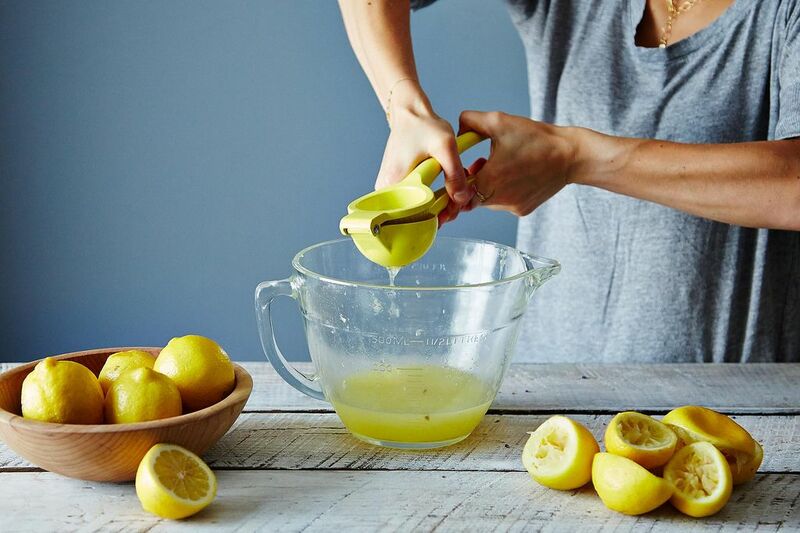 A trick to squeezing lemons with this style of citrus squeezer is to make cuts in the lemon from end to end before you cut the lemon in half. This allows the lemon rind to "give" and makes squeezing easier. Being honest should never be irritating Jimbob67. By the way, are you from Kansas?